Everyone loves promo cards. Be they full art, shiny, alternate versions, or date stamped, there's just something cool about having the promo version of a favorite card. 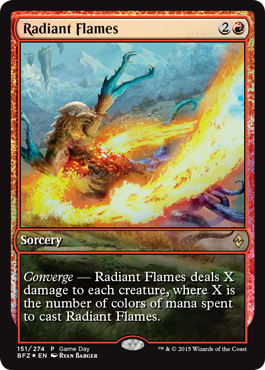 And today's cool somethings are the Battle for Zendikar promos that will be available to you soon. We announced the Gift Box about a month ago, but we held back on the promo included in the box until a later time. Now is that time! 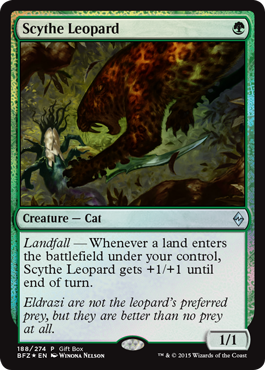 I present to you the newest creature in a line of aggressive landfall one-drops, Scythe Leopard! It's time to seek out a Ruinous Path in Standard, and you can do so with this Buy-a-Box promo. 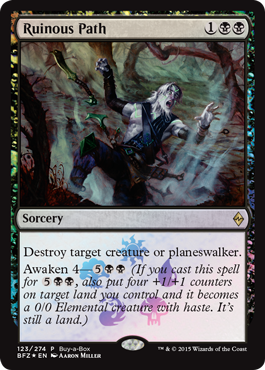 Stores will be able to provide a small number of this promo, and the distribution is up to stores—so if you want to take creatures or planeswalkers down a ruinous path, ask your local store how you can get your hands on this premium removal spell. 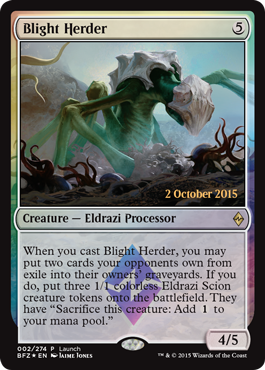 If you play in any Release Events October 2–4, including Friday Night Magic—and on top of any other promos you might receive—you might just find yourself herding some Eldrazi Scions with Blight Herder. The weekend of October 24–25, stores all around the world will be holding Battle for Zendikar Game Day. 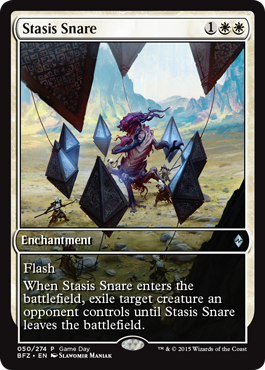 Just for participating, you can receive this full-art Stasis Snare. And if you're able to finish in the Top 8 of your Game Day, you'll receive this radiant beauty. 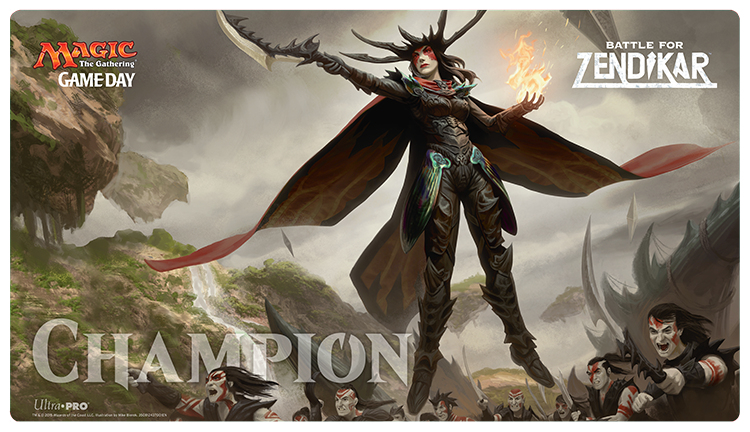 Additionally, the winner of Battle for Zendikar Game Day at each store will receive an exclusive playmat.